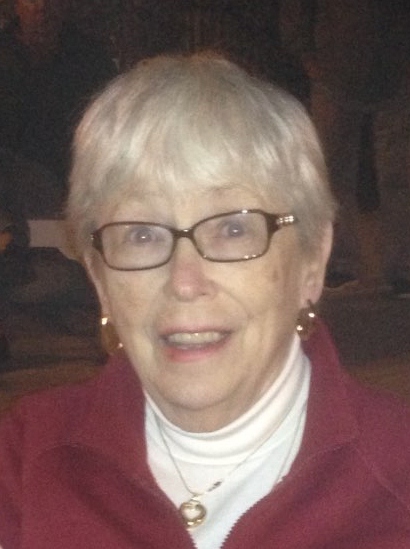 Judithann Becker, 80, of Overland Park, Ks, on Saturday May 5, 2018 passed away in the loving arms of her family to join her husband Kenneth of 57 years who passed away in 2013. She will be laid to rest with her husband Kenneth at Leavenworth National Cemetery, on June 22, 2018 at 2:30 pm. In lieu of flowers, memorial contributions can be made to Kansas City Hospice, 1500 Meadow Lake Parkway, Suite 200, Kansas City, Mo 64114 or online at https://www.kchospice.org/donate/. Judy was born on June 21, 1937 in Chicago Illinois, her family later moved to Burlington Wisconsin where she graduated from High School and where she met her husband at a roller skating rink. She enjoyed a variety of activities that included reading, gardening, and sewing quilts, however she especially loved spending time with her family. Judithann is also survived by her brother Robert Topel, Des Moines, Iowa and children, Sandi Bevan, Overland Park, Ks; Dan Becker, Overland Park, Ks; Cindy Becker, Gardner, Ks; Barb Hagensick, The Villages, Fl; Pat Solofra, Burlington. Wi; 14 grandchildren and 18 great-grandchildren. The family would like to thank the Kansas City Hospice House for the compassionate care their mother received.